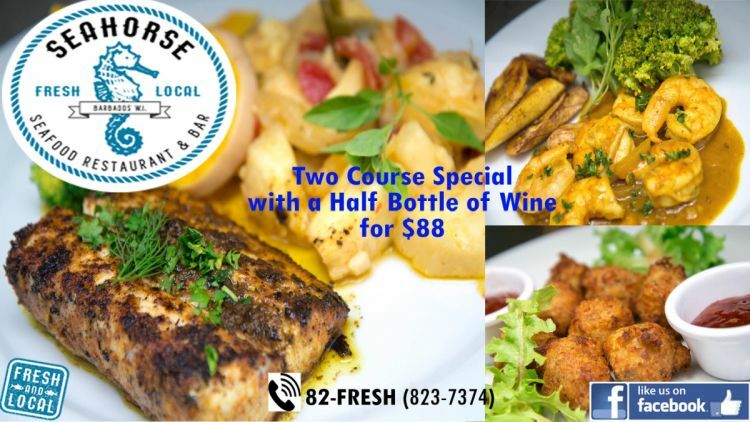 Don’t miss the latest Seafood experience at the new Seahorse Restaurant and Bar, located in St. Lawrence Gap. Serving fresh, local seafood and more for lunch & dinner, along with with sunshine inspired cocktails. 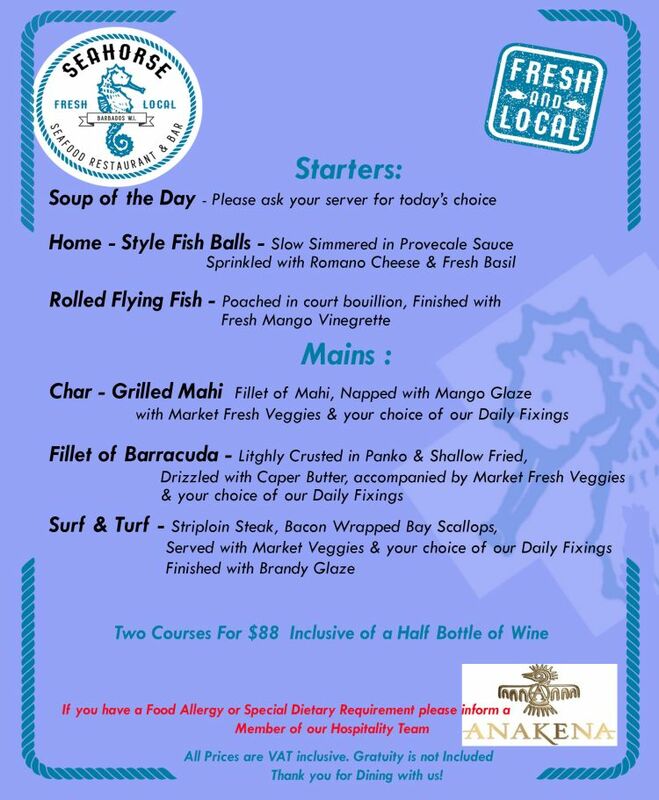 Tonight, enjoy a 2 Course Special Menu for Bds $88, inclusive of a Half Bottle of Wine. The menu Changes weekly. 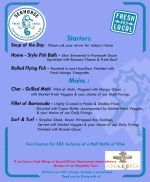 Visit https://www.facebook.com/seahorserestaurantbb/ for updates. See 2nd attached flyer for sample menu. Reservations and walk-ins are welcome.